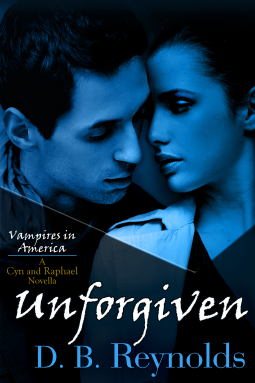 In Unforgiven, another of Raphael and Cyn’s story, this one takes place after Aden and is a prequel to her upcoming book Vincent (which comes out in November). 🙂 Unforgiven is about a certain spy that has infiltrated Raphael’s estate, and the intruder’s focus is on Raphael’s sister, Alexandra. We see the affect that this has on Raphael and Cyn and their relationship. Its always interesting to read these novella’s, which are super short-only 80 pages or so, so its a quick and light read. But we also see the day to day routines of this couple, and how they deal with the constant attacks that come their way. This story also sets the stage for the upcoming book Vincent, which I am very much looking forward to. As you read Unforgiven though, we see a bit more of Raphael’s sister, whom I just can’t ever like. We definitely see her truest nature in real form in this story and my heart just goes out to Raphael in this book. Overall a lovely short installment in this series, one that gives more insight into the lives of Raphael and Cyn, and events that lead up to the next book. EXCELLENT!! Power, it comes down to this… those who have it, those who want it. The Lord of the Midwest is dead, and the powerful vampires of North America are gathering to choose his successor. The Vampire Council will be there to oversee the competition and to keep the violence to a bloody minimum, including Raphael, who will do whatever it takes to ensure the victor is a vampire he can trust. But someone is determined to stop Raphael and his mate, Cyn, from ever reaching Chicago, a hunter who may soon become… the hunted. 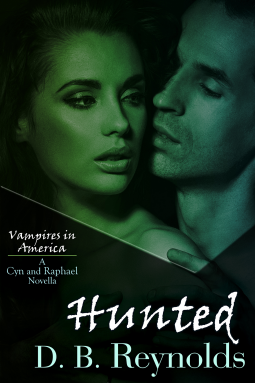 Hunted is a novella, and its centered on Raphael and Cyn. Now they are probably one of my favorite couples, and every time I see them, I just want to re read their first book. This is one of my favorite vampire romance series, and I recently discovered Reynolds and adore her books. She has such talent in creating this complex world of dangerous vampires and their territories, with plenty of drama, suspense and intrigue. I don’t want to reveal too much, but in this one we see a bit of Aden before his book. In this story, the vampire lord of the Midwest has been killed, and they are meeting to decide the new lord. But then danger lurks, and they are being hunted, but they have no idea who it is, and have no clue who is really being targeted. We definitely see more of Cyn and Raphael, and even Lucas and Kathryn. It was such fun seeing these two couples again and I enjoyed the commadrie and I enjoyed Cyn’s attitude and Raphael’s alpha personality that just had me screaming for more. It was a very short little story, and ended far too quickly, but a nice addition to the series. Definitely excited to reading more from this author. 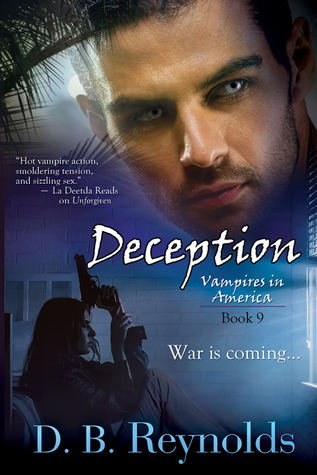 Book SIX of the award-winning Vampires in America. KATHRYN HUNTER doesn’t care about powerful vampires or their wars. Her baby brother is missing and she will do anything to find him, even if it means going against both her FBI bosses and the local vampire lord. But Lucas Donlon has other plans for the lovely FBI agent who’s landed on his doorstep. 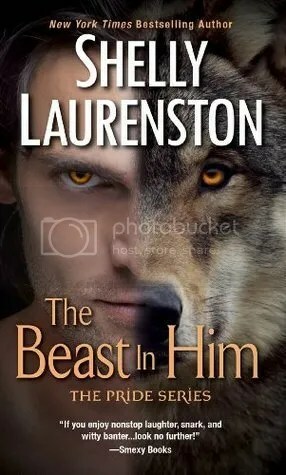 Kathryn Hunter, is a FBI agent, and with her the recent disappearance of her brother, she is at a loss in finding him, but there is one man that may be able to help her locate him, Lucas Donlan a Vampire Lord. Lucas, is a vampire Lord, and a very jovial one at that. But he has his own problems to deal with. Lucas is getting ready to take down the vampire Lord, whose territory is right next to his. Especially after he tries to kill his closest friend, Raphael. Now there is a FBI Agent, asking questions, but a searing heat explodes between them. At first Lucas doesn’t want to accept what is happening between himself and Kathryn. However with the danger rising rapidly, Kathryn is determined to keep herself in the midst of danger, and it will be up to Lucas to save her life, and to show her the true power of the vampire world, and even though she keeps resisting her feelings for him, that no vampire lets his mate go without a fight. Lucas is the sixth book in the Vampires of America series, and I am almost done with reading the whole series, except for one novella. It makes me sad in a way, reading this series so far has been such a blast of whirlwind fun, danger and desire, and I have loved every single moment. This is definitely a favorite author of mine. I read a novella Betrayed, where we first see Lucas and I liked from the start. He is energetic, a ladies man, and has a more relaxed and humorous personality than the other vampire lords that we have met so far. Although in this story we see a whole lot more to him and he definitely is powerful and lets no one stand in his way. Kathryn was a solid character and I did enjoy quite a bit, although she was always never giving into emotion, and it got quite frustrating many a times. I understand that with being a FBI agent, she has to have a tough exterior, but she was constantly refusing to give in even in private, and there was something about her that rankled against me. However I did like her toughness, and ingenuity and her determination to not let Lucas stand in her way of finding her brother. I felt like the story was very exciting and thrilling, and was packed full with plenty of drama and action to keep your mind occupied all the way through. There was a balanced consistency that I have enjoyed from this author. There is quite a bit of tension between Lucas and Kathryn that was quite a show to see, and boy did they give a entertaining show!! I enjoyed seeing these two together, and I loved how they are both fighters and doesn’t give in easily. You see how their relationship deepens as the story goes along, and you can’t help but admire these two. A riveting romance to set you on edge and fill you with excitement, thrills and passion!! 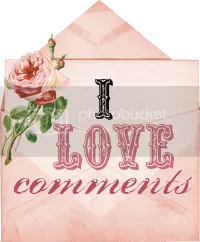 A REWARDING STORY TO CHARM YOU!! Duncan has been at Raphael’s side for over a hundred years, ever since he was first turned. 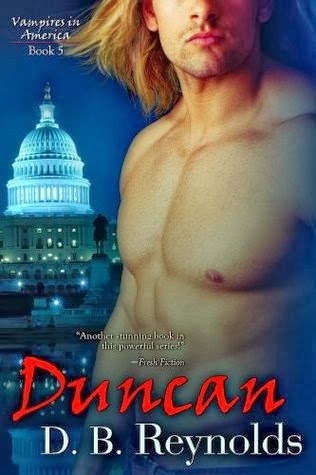 Now it is time for Duncan to become a vampire lord, and his territory will be Washington D.C. where secrets and betrayal are abundant. He will do everything to make it is, no matter who gets in his way. Emma Duquet, is searching for her best friend and roommate who disappeared, and she knows that a vampire is responsible. Emma is tough as nails, but when she encounters Duncan, all her toughness goes out the window. Duncan can’t help but feel drawn to Emma, whose vulnerability and beauty speak to his soul. He has never known such tenderness toward anyone, except his closest friends. Now that he has just taken over his new territory he must take care, but he can’t help but resist Emma and her plea for help. As they search for those that have been committing atrocious acts, a fierce desire flares between Duncan and Emma, a desire that threatens to consume them or build a stronger love than either of them imagined. Duncan is the fifth installment in the series. D.B. Reynolds, with the help of Belle Books, has been re publishing this series, with such beautiful covers. I think Duncan is my favorite, and I love the blue background with the blond hair with this beautiful specimen, I could definitely look at him all day. When I was able to get a copy of this ARC through Netgalley and Bellebooks, I was excited and downloaded it right away and could hardly wait to read it. I have been waiting for Duncan’s story ever since I first saw his character in the first book Raphael. We do see a little of Raphael and Cyn but not nearly as much as the previous books, but I was okay with that. It was nice to have this story to have more focus on Duncan and Emma. We actually see their first interaction pretty close to the beginning of the story. We see instant fire and sparks between these two and oh boy you could build a fire with that heat. Duncan and Emma are magical together. I felt like they were such a good fitted pair, and evenly matched. Duncan may be a powerful vampire lord, but he has battled like nothing when it comes to Emma. You see his love for Emma that rings like crystal glass. The reader almost becomes envious. Emma is darling, and I love her strength and resilience, and her way of not giving in to Duncan’s orders, but handling him like a mate and not one of his minions. She definitely knows how to handle him and it was exciting seeing these two get over the hills and rocks to true love. There is quite a bit of a conflict involved, where you see secrets revealed and a betrayal you never expect or see coming. Overall a stunning vampire romance that takes your breath away with every chapter. A tale of a love that is hard fought and worth every moment. 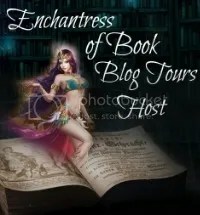 Characters that instill a charming quality to entice the reader. And a powerfully written story to make the reader weak in the knees and cheering for this couple in finding their HEA! MAJESTICALLY DONE!!! Sophia has been a vampire for three hundred years, and when her sire Lucien, disappears, with only a letter with instructions directed toward her, she follows his trail up to Washington State in the United States. For many years she has been wandering around South America, where she had fallen in love with Colin Murphy, but had to give him up. Now, entering Raphael’s domain, with his vampires being killed, the hunt is on. Colin is a ex navy SEAL, and now does maintenance security for the area. When a friend of his, a vampire, his mate having been tortured, Colin is dragged into a world of danger and vampires and the reappearance of a woman he thought was dead all of these years, and is shocked to learn that she is a powerful vampire. But the danger is about to escalate when the killers, are after vampire blood, Sophia is in more danger than she realizes. Sophia is the fourth installment in this amazing series that I am practically addicted to. I was able to get a ARC of this title, through Netgalley and ImaJinn Books. Sophia is a pretty intense filled story that will put you on the edge all the way through. The focus of it, is the vampires being killed, and Raphael being fully involved in the investigation. Now even though the blurb really states that the story is based solely on Sophia and Colin, that is not true. We see quite a bit of Rapahel and Cyn, and they both play major roles in this story. Especially in the beginning, there isn’t much focus on the relationship between Sophia and Colin, that doesn’t happen until the latter half of the story. I am not complaining, in the least, I just adore Raphael and Cyn. We definitely see some stumbling blocks in their relationship, and their fights of “dominance” were very amusing. I enjoyed seeing the fireworks between these two once again; it just never ends with these two. I LOVED IT!! Now I want to focus more on Sophia and Colin. Their relationship doesn’t start out with rainbows, that’s for sure. Sophia is shocked to see Colin again, and hides her true feelings from him. Colin feels hurt and betrayed that she never came clean with him from the very beginning. While this couple are trying to work out the major kinks out of their bond, danger escalates quite rapidly, and in some scenes, really shocked me and it got to the point where it was impossible to put this one down. Raphael was drowning, trapped in a whirlpool of pain and loss…so much loss, sucking him down, icy shards swirling, slicing like razors into his soul. You’re the only man I’ve ever loved, Colin Murphy, and I’m tired of living without you.